The answers to your questions may be below. Please read before contacting us. To login to a program you have purchased or the clubhouse you just head for the login page and enter you username and password. 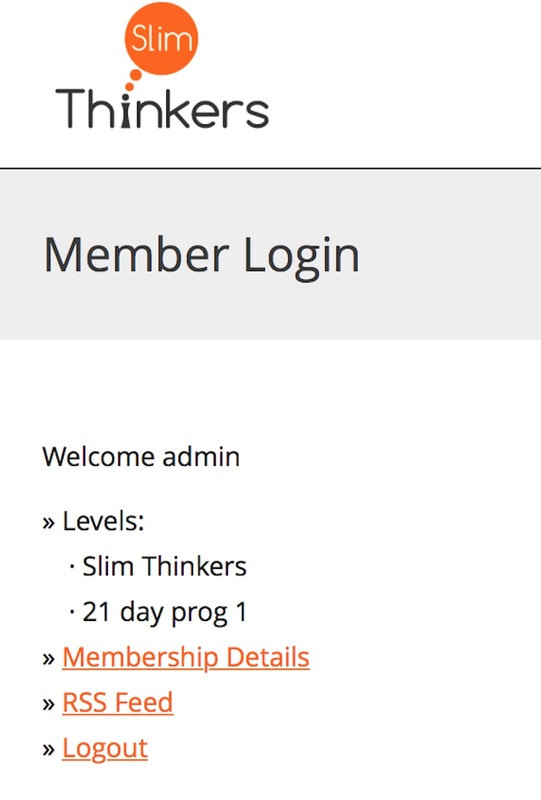 The link to the login page is at the top of every page on the website in the top menu bar. It is green and clearly marked ‘member login’. WHAT EQUIPMENT DO I NEED TO DO THE COURSES ? If you have a device that you can access the internet with, play a video and listen to an audio with, you are good to go. All our courses and products are either downloaded or streamed. As long as you know how to do that the courses and programs are easy to use. Just make sure you are logged out on one device before logging in on another. HOW TO REDEEM A VOUCHER CODE ? To redeem a voucher code from sites we deal with i.e.. Wowcher or Groupon, please follow the link contained inside the correspondence you have from the deal site. Usually this is in the same place as the deal voucher code. YOU DO NOT REDEEM IT ON OUR SITE. The link takes you to a registration form where you just follow the instructions to register and off you go. THE LOGIN PAGE DOESN’T WORK? ARE THE COURSES ON DVD ? No. All the programs are online and most of the content is streamed for your convenience. There are some files within the programs you can download and save to a device or burn to CD if you wish i.e.. the daily hypnosis track on the 21 Day Weight Loss Program. HOW DO I FIND MY LOGIN DETAILS ? You will have been sent an email when you registered for the program or members clubhouse. This will have everything you need to gain access. Please keep this safe so you can refer to it at anytime. The email is from ‘slimthinkers team’ – ‘congrats you are registered’. Please check your junk folder too. WHAT IS AN MP3 AND HOW DO I USE IT ? When we say MP3 in our courses we are referring to the file. It is an MP3 file which in most cases you just click play on and listen to. Some are downloadable and clearly marked as such. These you can download and place on your phone or mp3 player if you have one, burn to a disc or just listen to from your laptop. Each device is different so you need to know how this works on yours. HOW LONG DOES MY ACCESS TO THE PROGRAM LAST ? Individual programs are yours to keep and are accessible 24/7. All you need to do is login. The clubhouse access is yours for as long as you are a member, all access to the programs inside will be lost when you cancel. When you purchase a product from the shop it will usually be an ebook, video or audio mp3. After purchasing a product i e ‘motivation to exercise hypnosis’ you will receive an email with the links to download the file directly from that email straight to your device. When you have it you can do what ever you wish such as save it to your desk top, burn a cd etc. PLEASE NOTE the system only allows 3 attempts to download each file. If you are experiencing problems please get in touch so we can help you. There are many devices and operating systems out there. We do not know the device you are using and must assume you know how to use it. To download a file, be it a pdf or mp3 it is usually a case of right or left clicking on the link and saving the link. If you are completely at a loss please email us to sort out an alternative solution. THE VIDEO/AUDIO WON’T PLAY ? Our videos and audios for the all courses are hosted on secure and reliable servers i.e..Amazon. This means streaming on your computer is easy with little or no down time. If you do experience playback issues, please check your internet connection/service is running correctly as this may be causing the issue. Also try clearing your browser caches and refreshing the page or ensuring all your video and audio settings are up to date. If this fails please contact us to see if there is a system issue from our end. HOW MANY TIMES CAN I USE MY PROGRAM ? To get a file downloaded straight on to your iPhone is not possible as far as we are aware. We recommend first downloading it your laptop or PC in iTunes and then syncing to your device. I CAN’T FIND THE VIDEOS ? On the 21 day program EVERYTHING is on the same page. The course workbook, the daily hypnosis and all the videos and audios you need to complete the course. Just login and scroll down. If the videos are not showing it mat be a browser issue. Please try clearing your browser caches and refreshing the page. I HAVE BEEN ASKED TO SUBSCRIBE TO AN EMAIL LIST. WHAT IS THIS? Each course has a series of automated emails which compliment the program you are on and provide additional course material, help and advice. You can unsubscribe from these lists at any time but they are an important part of the program. To unsubscribe just click the ‘unsubscribe’ link at the bottom of any email.